Indigenous leaders participate in a protest march and rally in opposition to the Dakota Access and Keystone XL pipelines on October 3, 2017. That’s the message thousands of international indigenous activists will be bringing to Washington Friday for the first ever Indigenous Peoples March. 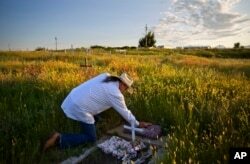 They are seeking to bring national attention to injustices endured by Indigenous people across the globe. 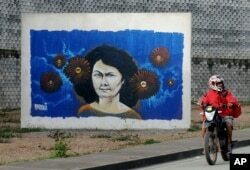 The event, coming a day before the third annual Women’s March, is organized by the Indigenous Peoples Movement (IPM), an international grassroots collective seeking to unify tribes and indigenous peoples from North, South and Central America, the Pacific, Asia, Africa and the Caribbean. 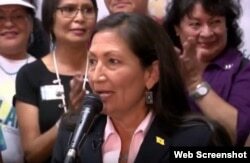 YouTube screengrab of Deb Haaland speaking to supporters after her historic win in New Mexico's primary vote, June 5, 2018. 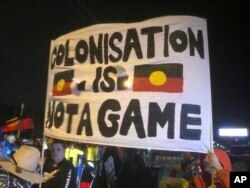 A small group of indigenous protesters blocked a Gold Coast road, bringing a temporary halt to the Queen's baton relay before the opening ceremony for the 2018 Commonwealth Games at Carrara Stadium on the Gold Coast, Australia, April 4, 2018. “Though since we are piggybacking on the Women’s March on Saturday, that number could be much, much higher,” said Thompson.